Towns who encourage agricultural activity retain the benefits inherent in local farms of open space, food security, energy independence, and healthy communities. Citizens and town decision makers need to consider the following to ensure protection of their town agricultural base. This checklist, minimally modified here for NJ, was created by G. Matteson for the New Hampshire Coalition for Sustaining Agriculture and UNH Cooperative Extension. Does Your Town have Practical Land Use Ordinances and Regulations? 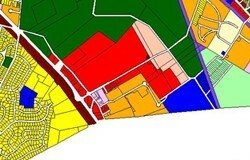 ▢ Have a detailed section on agriculture in the Town Master Plan. The Master Plan is the big picture view of what land uses are encouraged, protected, or excluded within a town. Does your town’s Master Plan refer to “maintaining rural character”, but overlook agriculture as the primary component? Agriculture shouldn’t be an afterthought! ▢ Avoid the creation of residential and commercial ordinances and regulations that may inadvertently have negative effects on farms. 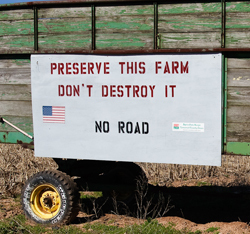 Farms in New Jersey are typically mixed in with other land uses which then designates farming activity a “nonconforming” use. This puts farmers at a disadvantage when dealing with zoning ordinances and may lead to farm failure. Farm enterprises are often hybrids of several different uses; ordinances and regulations must allow for farm business flexibility. ▢ Allow simpler design standards for Site Plan Review regulations on agricultural businesses limited to seasonal use. Simpler standards for certain aspects of Site Plan Review regulations make sense for agricultural uses, such as parking requirements for seasonal retailing or events. When agricultural uses are limited in scope and impact, they need not be treated as if they were year-round permanent businesses. Does your town apply the same site design requirements to a seasonal farm stand as to a grocery store? ▢ Allow flexibility in regulations to accommodate the unusual needs of agricultural businesses. Both the land use impact and the off-site impact of a seasonal farm business are much less than that of a full-time business. Pick-your-own strawberries or Christmas tree farm businesses can’t be viable in a town that treats farms like all other retailers. Do your town’s regulations provide for reduced restrictions such as expanded hours of business operation, temporary signs, parking near pick-your-own fields, or on street parking? ▢ Require buffer zones between farmland and residential uses. The old saying “good fences make good neighbors” has a modern corollary that says, “good buffer zones make new neighbors good neighbors.” New development should not place the burden on existing farms to give up boundary land as a buffer zone between agricultural and residential uses. New residential development should provide for its own buffer zone and/or landscape plantings for screening when necessary. ▢ Provide for the agricultural use of open space land created by innovative residential subdivisions. Many towns have adopted innovative subdivision regulations like cluster housing, which provide for setting aside open space land within the subdivision. Ideally, such land should be the most valuable agricultural land, be big enough for commercial agricultural purposes, and specifically allow long-term agricultural use to provide consistent resource management. Smaller plots of set aside land could accommodate community gardens. Land set aside for open space can stay productive agricultural land and at the same time contribute to the ecological health and scenic quality of the area — instead of becoming grown over with brush. 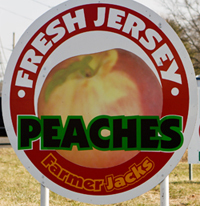 ▢ Allow off-site signs to attract and direct farm stand customers. 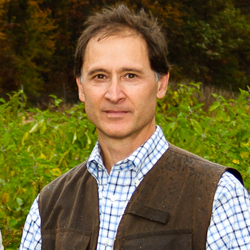 Farm stands are often seasonal businesses that need to capture potential sales at harvest time. Signs that give directions to the farm stand and let customers know what’s available (such as strawberries, corn, apples) are vitally important. ▢ Allow accessory uses to agriculture. Remember, it’s not just the farmland that makes farming possible: businesses related to agriculture (veterinarians, equipment and supply dealers, custom farm providers, feed milling and delivery, etc.) have to be close enough to serve farmers’ needs. Does Your Town Fairly Enforce Local Regulations? ▢ Have a consistent policy approach for local land use procedures that deal with agriculture. Planning Boards, Zoning Boards, and Conservation Commissions have different responsibilities, but a common regulatory outlook is possible. Update your Master Plan to express the value agriculture contributes to your town’s quality of life through open space, wildlife habitation, watershed purification and natural resource preservation. Establish a policy presumption that agriculture is of beneficial use in your town, and fairness will follow. ▢ Have a good idea of how much agriculture there is in town. Consider having a Town appointed committee formulate an Agricultural Profile to demonstrate the economic, cultural, and resource stewardship value of agriculture in your Town. People often carry the misconception that “there’s no agriculture in our town” if they don’t see cows and red barns. ▢ Allow roadside stands or pick-your-own operations by right. Consider amending your Town’s zoning ordinance so that certain agricultural operations don’t need a Special Exception or Variance. Write flexibility into ordinances or regulations that may apply to agricultural land uses so the intent is clearly to promote such use, not to deny because the rules don’t fit the unique situations that frequently arise with agricultural businesses. ▢ Allow farm stands to sell produce purchased elsewhere. Many towns have rules that a certain percentage of farm stand produce be grown on the farm. The unintended consequence of such regulation is to penalize farm operators who have a crop failure! The rational basis for allowing a farm stand shouldn’t only be how much is grown on the farm, but what benefit the farm provides to the town from the open space, wildlife habitation, watershed purification and natural resource preservation it accomplishes. ▢ Properly assess specialized agricultural structures. Specialized structures such as silos, milking parlors, and permanent greenhouses depreciate in value over time. Providing assessors with depreciation schedules may enable more accurate valuations, which can lead to lower assessments. If your town frequently overvalues agricultural structures, this can have a chilling effect on all types of farm investment. ▢ Allow non-traditional or retail-based farm businesses in an agricultural zoning district. Agricultural businesses don’t all look alike. Trying to decide what constitutes an agricultural business can involve splitting hairs to make unfamiliar distinctions between what is “commercial” and what is “agricultural”. Ordinances defining agriculture based on state law may be accurate, yet need local interpretation. Your town should recognize that newer types of farm businesses such as horse arenas, landscape nurseries, or greenhouses are more intensive in land use, but still carry valuable elements of rural character that benefit the town. ▢ Address agricultural structures in building and safety codes. Building practices that are state of the art for a specialized use in agriculture may not fit the specifics of codes meant for housing or commercial structures. Bringing up to code agricultural buildings that are historic structures may destroy the very qualities that make them special. Does Your Town Understand and Encourage Farming? ▢ Consider farmland a natural resource and encourage conservation easements, discretionary easements, and purchase of farmland. Easements and outright purchases of farmland ensure preservation of the natural resource base for agriculture. Once a town has applied these techniques, the benefits of keeping farmland in private ownership can be more clearly appreciated. By understanding and allowing for the peculiarities of agricultural land use, towns can encourage working farms that contribute to the town’s well being at no cost to the taxpayers. ▢ Have any visible demonstration of the value of agriculture. Does your town have a county fair, an apple festival, or an Old Home Day parade? Making agriculture visible to the general public helps establish the economic, cultural, and resource stewardship value of having active farms in a town. ▢ Respect the state Right to Farm law, which has specific exemptions for odor and noise. Local control is an important tradition for New Jersey towns. The state Right to Farm law provides a backstop to farmers if local officials overreach their regulatory authority. Conflicts between agriculture and other land uses can be reduced when town officials are informed about Best Management Practices (BMP’s) that may alleviate nuisance complaints. 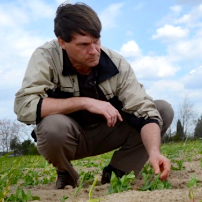 In New Jersey the State Agriculture Development Committee (SADC) deals with these issues. ▢ Have farmers serving on local land use Planning and Zoning Boards, Conservation and Heritage Commissions. There are few better ways to incorporate agricultural concerns into local land use ordinances and regulations than having farmers serve. Help your town’s land use boards keep a broad perspective by asking, “Have you thought of the consequences…? ▢ Have farmers serving on the local Economic Development Committee. Agricultural businesses are frequently undervalued in terms of their effect on the community. Most of the economic activity generated by farms stays within the community. Negative impressions about the strength of New Jersey agriculture may have a similar impact on the availability of credit to viable farm operations. Having successful farmers on Economic Development Committees can change these misperceptions. ▢ Know where to go to get advice and assistance on farm questions. Make the connection to resources such as the Department of Agriculture, Markets and Food (industry regulator, statewide perspective); Rutgers NJ Cooperative Extension (technical questions, BMP’s); New Jersey Farm Bureau (non-governmental farm lobby, broad experience); Natural Resource Conservation Service (land and water resource management).